Facebook Remarketing has always been a sure shot way of getting users converted on websites. What exactly has it been doing? 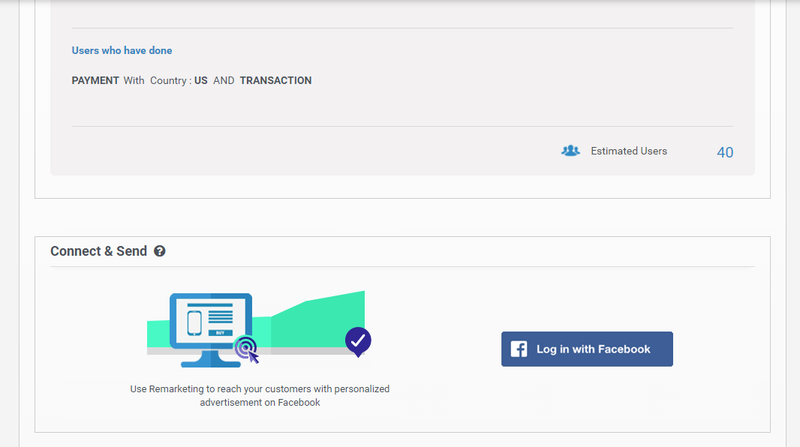 Simply targeting those users who visited your page but dropped off without doing desired things, on Facebook. Marketers have been leveraging this tool to get more and more users converted effectively. What if the same could be made possible on apps? What if there was a way you could get a list of users not doing certain events so that you could run a Facebook ad campaign to target and convert them? Welcoming Facebook Remarketing in App42 MA—the comprehensive app analytics and app marketing automation tool—that has this incredible ability to give you a very precise list of users specific to your needs so that you can target them through Facebook ads. 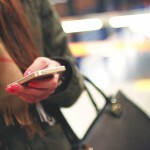 Why App Remarketing on Facebook is a good idea? In the times of push notifications, in-app messages, emails, why do we need another marketing method? Because all of us are slowly learning ways to filter our notifications by either disabling them or choosing to read at our own will, in-app messages are not very popular and marketers are still struggling to master them and we receive so many emails that it is humanly impossible to go through all of them. Facebook Remarketing has its benefits—for instance while browsing their feeds, users are going to see a harmless ad that they open it only if they want to. It all boils down to who you choose to show your ad to and the kind of ad you advertise. When does Remarketing make most sense? Acquisition: Since Remarketing gives you any kind of audience depending on the segmentation you choose, you can get the attributes of the most successful app users and target similar people in Facebook ads to increase acquisition. Engagement: With Remarketing, you can keep your users interested even if they haven’t opened the app for a long time by showing meaningful ads on Facebook and, in turn, increasing life time value of the users. 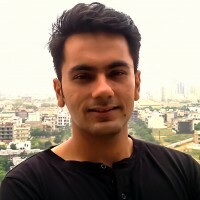 Retention: Improve retention of your app by targeting users who have really poor history in sessions or other events and bringing them back on your app with Remarketing. Conversion: Since Remarketing enables you to choose any kind of events and segmentation, you can improve your funnel by targeting users stuck at a level by luring with them beneficial ads and getting them converted. 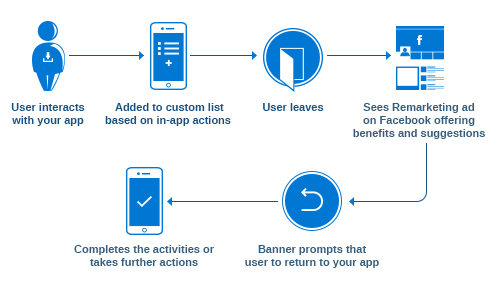 How Facebook Remarketing in App42 MA works? In marketing terms, you just have to choose a segment who list you would like to export to your Facebook advertisement and that is it. The first step would be to visit Facebook for Developers to create Facebook Canvas App. Then, you will be shown the following screen where you will see your app ID and App Domains field. Enter apphq.shephertz.com/ in App Domains. Then add https://apphq.shephertz.com/ in Secure Canvas Site URL and Mobile Site URL as shown below. Now it all boils down to your Facebook advertisement and the creativity you show in your ad image. While creating the ad, please make sure to use custom audience and select the one imported from AppHQ in it. When you run your ad, you would be able to see the effectiveness of Remarketing campaign from Effectiveness tab in AppHQ. To conclude, Remarketing can be an asset if you are clear with your segmentation and advertisement strategy. It has been developed to improve funnels and help users advance to next events. In case you have any query or need our expert to walk you through the feature, please feel free to shoot us a mail at support@shephertz.com and our customer success team will be happy to get in touch with you.